On November 19, 2013, Parks Bureau Special Problems Team deputies from the Los Angeles County Sheriff’s Departments arrested Shannon Irene Gonsalez, female, 41 years of age, who resides in Palmdale, for felony vandalism. This is the culmination of an investigation into the vandalism that occurred on August 16, 2013, at Stephen Sorenson Park, located at 16801 East Avenue P, Lake Los Angeles. 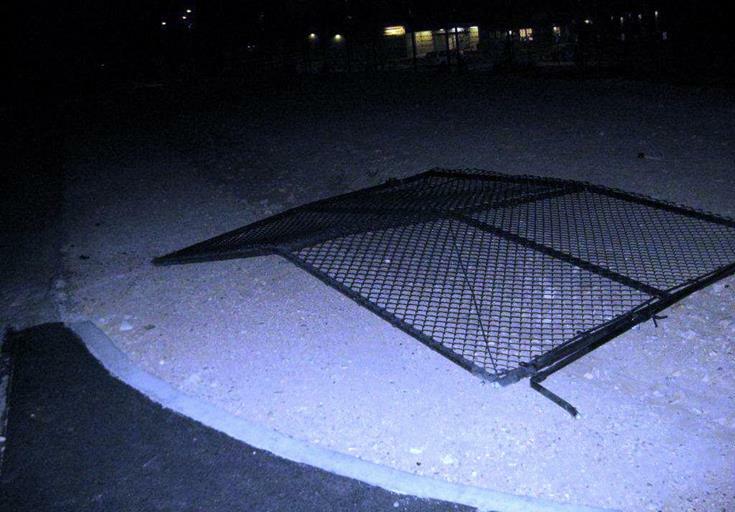 The investigation revealed Ms. Shannon Irene Gonsalez drove her vehicle into a gate at Stephen Sorenson Park causing over $2,000 worth of damage. She then drove into the flood control channel where she abandoned her damaged vehicle. After further investigation, a Parks Bureau Detective discovered two recent Automatic License Plates Reader (ALPR) detections had occurred on the suspect’s vehicle in the city of Palmdale near 11th street East and 10th Place East. Parks Bureau Special Problems Team deputies responded to the area near 11th Street East and 10th Place East in Palmdale. After a brief moment they observed what appeared to be the suspect walk out of a nearby apartment. The suspect was identified and placed under arrest for felony vandalism. She was subsequently booked at Lancaster Sheriff Station where she is being held on a bail of $20,000. The Los Angeles County Sheriff’s Departments Parks Bureau is dedicated to providing a safe and drug free environment at all Los Angeles County Parks. The Parks Bureau of the Los Angeles County Sheriff’s Department polices 177 county parks, golf courses and special event venues throughout Los Angeles County.